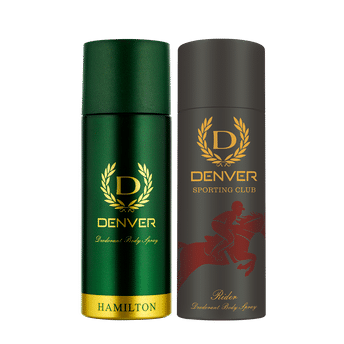 Denver brings you a range of exquisite fragrances that not just last long but keep your fresh and rejuvenated all day long. You're suave, you're smooth. Denver Hamilton Deodorant is for the man who wants to win it all. The easy way out doesn't appeal to you, it's the thrill of the chase that you're looking for. Your ambition is your armour as well as your soul - It drives you towards the scent of success and attracts the world towards you.